Liam Coyle has a trademark way of turning up at Melwood for his weekly training session under the guidance of Pepijn Lijnders – he walks. 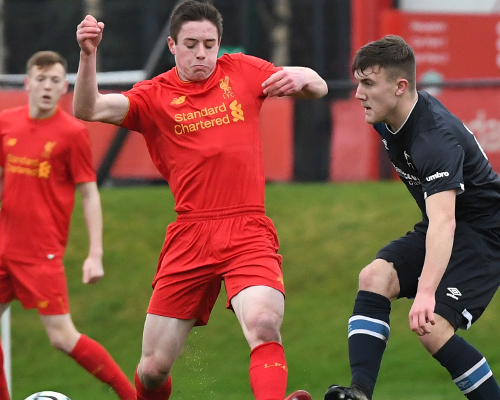 The 17-year-old Scouser lives a short stroll away from the first-team complex and, like all of the young hopefuls from Kirkby, the boyhood Red dreams of the chance to represent the club at the highest level. “I live 10 minutes away and I often walk to training when I am down at Melwood, which is an unbelievable experience,” Coyle told Liverpoolfc.com. 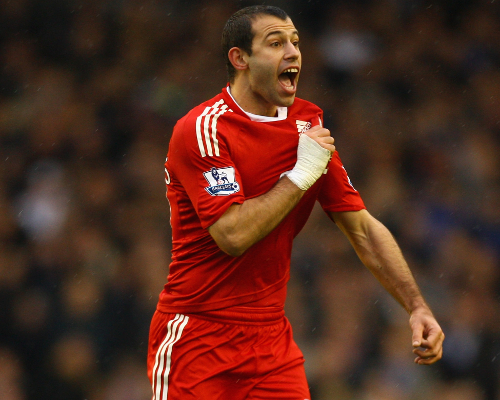 It is obvious this likeable midfielder has a level head on his shoulders. Aware of the importance of listening to the precious advice offered by the coaches around him, Coyle’s personality matches his style of play – brimming with determination to give everything in pursuit of his goal. One of the first things that comes to mind when supporters watch you play is ‘this lad loves to make a tackle’ – how important is that in your game? People often say tackling is something of a dying art in modern football. You don’t see it that way? Is that something you have worked on with the coaches, controlled aggression? 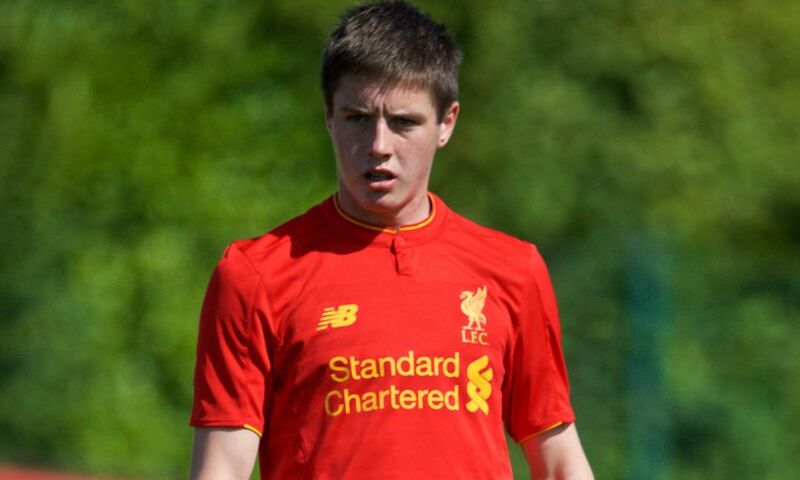 You have captained the U18s this season when Conor Masterson moved up to the U23s. How much pride did that give you? What sort of captain are you? Steven Gerrard, who is coaching at the Academy, led by example. Are you quite similar in that sense? What’s it like having Steven Gerrard working here as a coach? 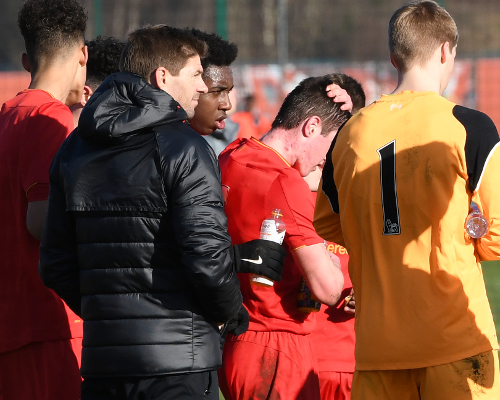 We saw a lovely shot of Gerrard talking to you recently when he was on the sidelines for an U18s game. What did he say to you? Have you always been a central midfield player? Supporters may remember you and Ben Woodburn both making your debuts at U18 level last season when the pair of you were just 15. Can you remember how you felt when Neil Critchley told you you’d be playing for the U18s? I think we probably know the answer to this question already, but who’s your footballing idol? 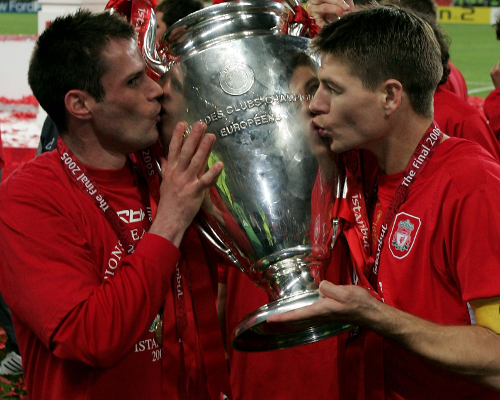 If you had to pick out your favourite Gerrard moment, what would it be? If you had to pick one current Premier League player you look up to and see yourself in, who would it be? Who in Liverpool’s first-team squad do you admire most? You have had the opportunity to train alongside those two players at Melwood. What is that experience like? What’s your dream in football? What’s the best game you’ve ever watched? Click here to read our ‘Meet the Academy’ feature with Glen McAuley.